This event finished on 28 February 2019. 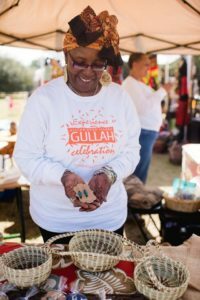 February 1 – 28: The Island’s West African roots still thrive today in the culture of our native islanders, known as the Gullah. We’ll celebrate this vibrant community at the Annual Hilton Head Island Gullah Festival. Experience the rich cultural heritage of the Gullah people and their history on Hilton Head Island. (843) 255-7303 or gullahcelebration.com.